Radio Frequency Remote Control and Receiver Pairs Also Available. Custom Remote Control Design - From concept to finished product. Celadon provides solutions for your remote control application design requirements. Multi-Protocol Infrared Remote Control-Receiver Pairs Available: NEC, Sony, RC5, Toshiba, Mitsubishi, Matsushita all selectable with unique device ID in one remote! Great for small or large volume, custom applications. Please contact us to inquire about manufacturing, pricing and availability of our infrared and radio frequency remote control products or call our sales staff at (415) 472-1177 x201. Celadon Inc. , OEM remote control manufacturer; infrared remote controls, OEM remote controls, infrared receivers, infrared to rs232, radio frequency receivers, LCD remote controls, waterproof remotes and custom remote controls for all your remote control applications. 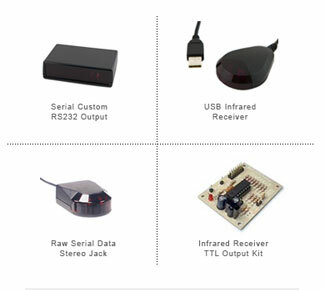 Infrared device universal remote control code library available. Learning remote functionality. 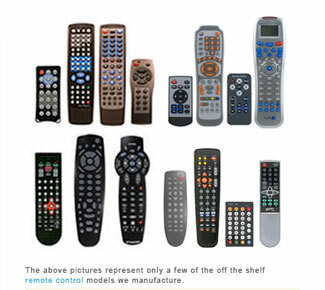 Low volume (1+) to high volume (millions) custom configured remote controls are available. Existing remote control designs using available molds or new remote control design for complete custom remote control applications. From design to full production remote control manufacturing.